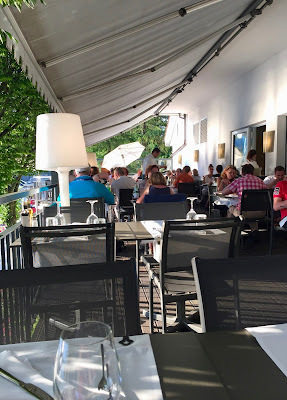 On a warm summer evening my husband and I had dinner at the Restaurant Lungomare. We were seated on the really beautiful terrace overlooking the river of Aare and the old bridge leading to Olten’s old town. This was not our first visit to this Italian restaurant, but so far we had “only” salad and pizza. This time we ventured into new dishes on the extensive menu. A few years ago, the restaurant, which had gone under the name of Walliserkanne, was sold to a new proprietor, remodeled and given a new name, Lungomare. The new name is quite appropriate, it means boardwalk. The restaurant is located on one of Olten’s most beautiful spots, at least when it comes to views. From there you have possibly the best view of the river of Aare and the old bridge in Olten. It is always a great thing to go to Lungomare on a warm evening, sitting on the terrace and enjoying the water and the sunset. But also the restaurant’s interior is nice. 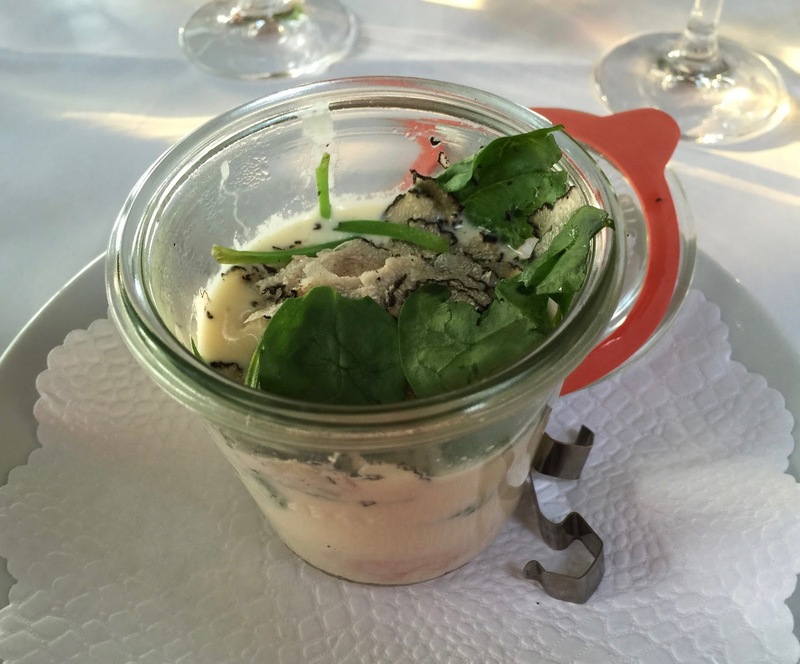 It is furnished in a contemporary style, although the dishes are quite close to each other. When the restaurant is full, it can be quite noisy. As mentioned, Italian cuisine is on offer at Lungomare. There is a wide range of options, from pizza to pasta, meat and fish. So far this restaurant had been at the top of the list of preferred spots when our family had been in the mood for pizza. This time, we wanted to try out other dishes. My husband succeeded in doing this, I stuck to the pizza, but I had another starter than salad and ordered a dessert, both for the first time. The latter I should have better not done so, but first things first. 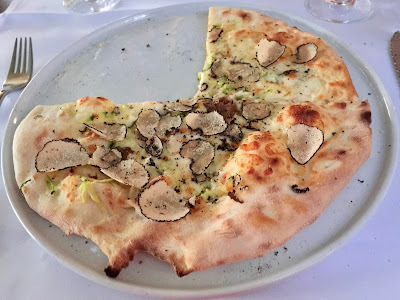 As it was truffle season, I had a baked egg with truffles for starter and a pizza with truffles and zucchini as a main. 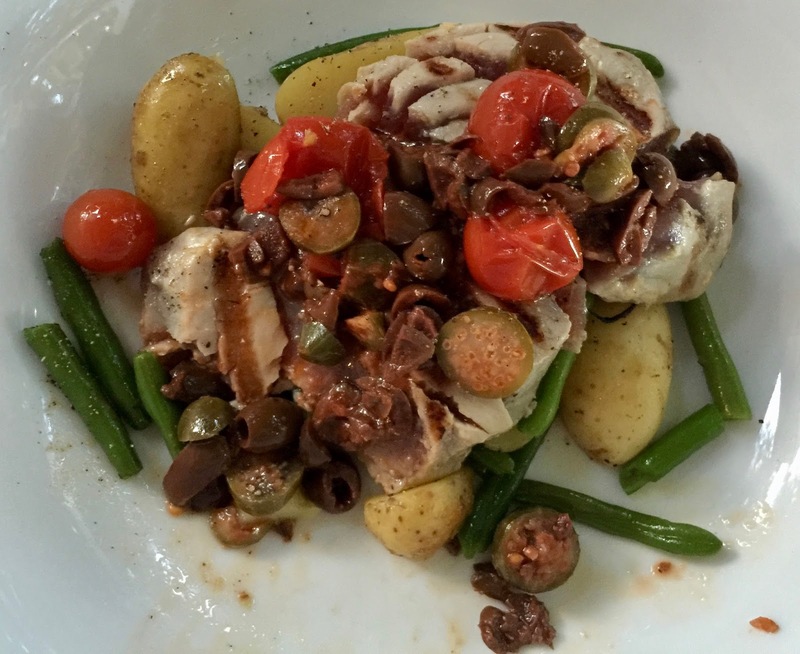 My husband had a spinach salad with shrimps and tomatoes to start with and tuna with Mediterranean vegetables and potatoes to continue. All the dishes were well prepared and tasty. As we were in high spirits because of the good performance of the restaurant so far we ventured into ordering desserts, which definitely was a mistake. 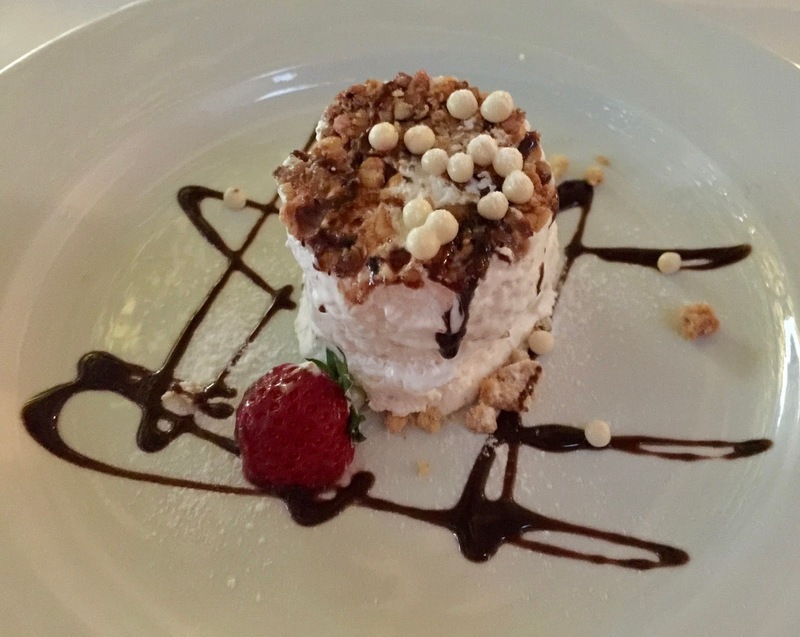 In no time the ordered dishes – a warm chocolate cake with ice cream and a nougat parfait –, were served. Normally, you have to wait quite a long time until the cake is baked, but this one was taken out of the refrigerator and probably warmed in the microwave. Both dishes were obviously convenience products, there are no doubts about it. What a disappointment! The staff predominately consists of male waiters who are friendly and quite efficient, but sometimes lack of subtlety. As far as prices are concerned, eating at Lungomare is not inexpensive, but far from being overprized. I would judge food as adequately prized. Overall, Lungomare has an absolutely fantastic outdoor seating and I would recommend it for pizza and maybe a fish dish, but not for a seriously good meal. There are many places in Olten which are more appropriate for this purpose. Have a look on my blog under the rubric “Olten region".